Pupils practise their first steps in writing. They write about animals. For the text they need adjectives, body parts, places, verbs and colours to describe their animals. Afterwards they can describe their animals in class and the others have to guess. The present downloadable printable is best suited for elementary school students at Elementary (A1) level. 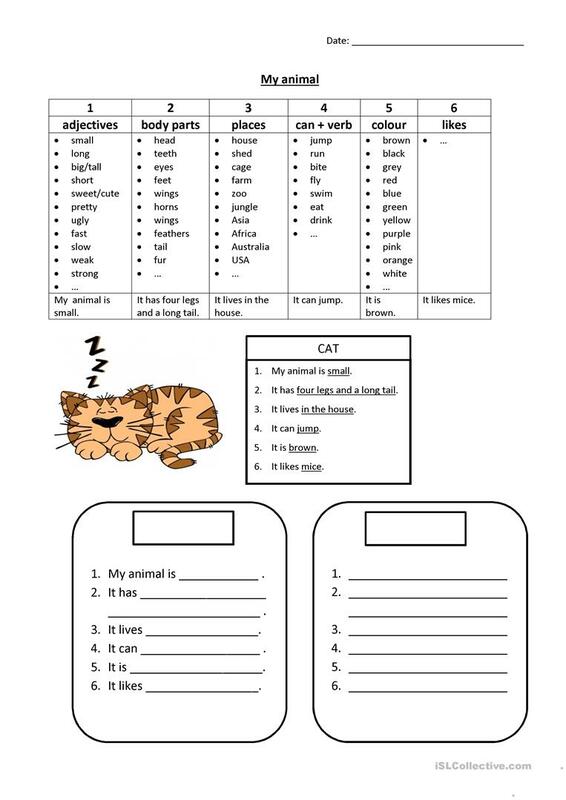 It is a useful material for revising Adjectives, CAN and Present simple tense in English, and is excellent for enhancing your learners' Speaking and Writing skills. It centers around the topic and words of Animals.